Know who’s at your door before you open it! See All Security Systems are suppliers and installers of high quality audio, video and GSM intercom systems throughout the Central Coast. We provide you with the added security of being able to speak and see who you’re allowing access to your property. Get peace of mind that the safety of you and your family or colleagues will not be compromised. 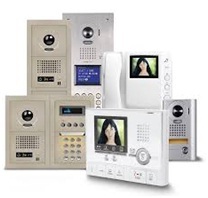 We can supply and install everything from basic audio Intercom systems for the domestic home through to full Intercom systems for high rise apartments with multi-entry areas and lift control. Whatever your needs and whatever your property, our team have the products and the knowledge to give you complete security. If you a difficult site to be able to install an intercom system or where cabling is not an option, we have the solution to cover your needs. GSM Intercom Systems, using the Mobile Network will allow you to communicate with your gate or front door, plus giving you control to open your gate or door with a simple press of a button on your phone handset. 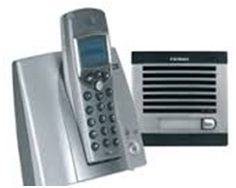 GSM Intercom Systems are available for Single Dwellings, Offices and Apartment Blocks both are available in Alloy finish or Marine grade Stainless Steel for those harsh environments. We are a local Central Coast business with more than 20 years’ experience providing Gosford, Newcastle and surrounds with knowledgeable, friendly service. 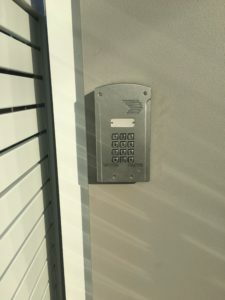 We have installed security and intercom systems at all kinds of properties, ensuring that we can meet your requirements and exceed your expectations. 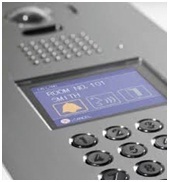 Augment your intercom system with CCTV cameras or a complete access control system. If you’re looking to get the edge with accurate, recordable information on who’s coming to your door, get the experts at See All Security Systems. Contact our West Gosford location today on 02 4351 0888, or via email at enquiries@seeallsecuritysystems.com.au, and find out how you could be living a more secure life tomorrow!